We can help with medicines management across a GP practice or healthcare organisation. It is our job to increase efficiency by helping you accelerate the prioritisation of patients, whilst freeing up resources and allowing your team to focus on clinical reviews of patients. We help you analyse your data to assess how medicines and treatments are being used and prescribed. Our services support you in identifying patients who may be at risk due to their current medication, or who are not receiving optimal treatment. Analysing and acting on the results of these reviews helps you to be more effective in what you do - delivering better outcomes and an improved patient experience. This support can help you to streamline your prescribing process - reducing time and costs and improving care. 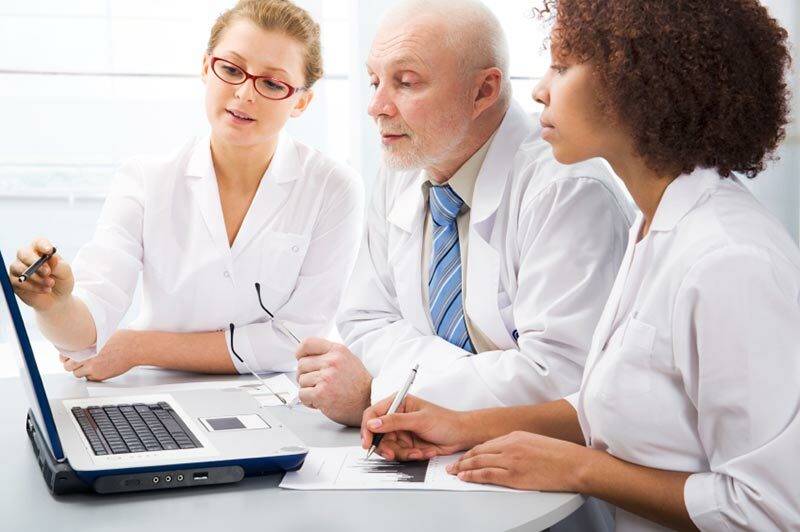 The majority of medicines management teams are self-taught, or have learned to use clinical systems on an ad-hoc basis from colleagues. Healthcare organisations and GP federation teams can benefit from up-skilling to increase their effectiveness, productivity and accuracy. Different teams have different challenges, which is why our training sessions are based around the requirements of each client, established through an initial training needs analysis. This means each session is specific to your situation, rather than following a ‘one size fits all’ modular system. In addition to GP clinical systems training, we can support teams to understand and implement effectively the different decision support systems that are available. Oberoi Consulting has provided medicines management training to many NHS clients, such as Kingston PCT, Manchester PCT, East Lancashire PCT, Bolton PCT, NHS Greater Glasgow & Clyde and many more. The overall aim in each case has been to give each team member the skills and knowledge necessary to confidently extract data from the clinical system and analyse it in a consistent manner. Training has covered topics such as Search and Reporting, Using MS Excel, Creating and Using Message Alerts, and Formulary Management. Introduction of quicker working processes by training staff to export data directly from a search into an Excel spreadsheet. Speeding up the patient record review process. Boosting knowledge of drug formularies, thus helping staff encourage surgeries to prescribe items from the PCT Formulary. Time and costs savings through a greater understanding of efficient working practices. These training courses have successfully boosted medicines management performance and introduced more efficient and quicker working practices. To read an article, about this project, which appeared in PharmaTimes please click here. Our client required a solution to enable the safe prescribing of strong opioids whilst enabling the NHS to making cost savings. Highlight cost implications of first line morphine vs. branded generic prescribing. Highlight the gaps between CCG formulary and real-time prescribing. Deliver a strategy to assist clinicians to identify key patient groups. The British Pain Society Guidelines 2010 provided the framework and rationale for the project. The client also required Oberoi to support the engagement of a pilot CCG. 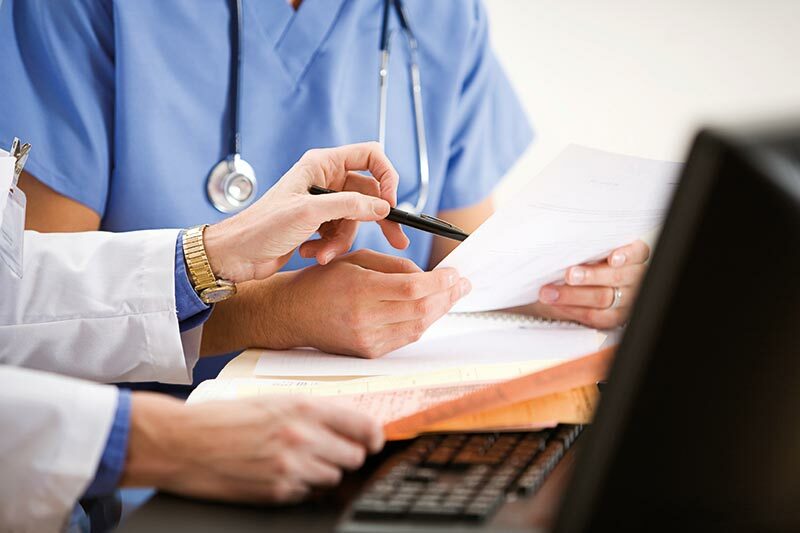 Oberoi Consulting developed an audit solution that would enable GPs, Nurses, CCG Pharmacists or practice administration staff to self-audit their patient population. A complex set of searches identified specific cohorts of patients for review, with the numeric results being used to create easy to use practice reports at baseline and post implementation. Oberoi Consulting engaged a pilot CCG on behalf of the client - South Staffordshire CCG and it was through their medicines management team that the audit and review solution would be delivered. A training workshop was developed for the CCG pharmacists to enable them to install and run the pre-created audit, create practice reports and support the clinical reviews at practice level. Saved the pharmacists time trawling data. Efficiently identified key patients for review. Enabled the CCG to align practice prescribing to CCG formulary. Saved prescribing costs as result of prescription reviews. Improved safe prescribing of strong opioids through reduced overprescribing. To download the "Safe Prescribing of Opioids" case study, please click here. "Oberoi have been providing South Staffordshire PCT, and formerly BLT PCT, with training for over 6 years. 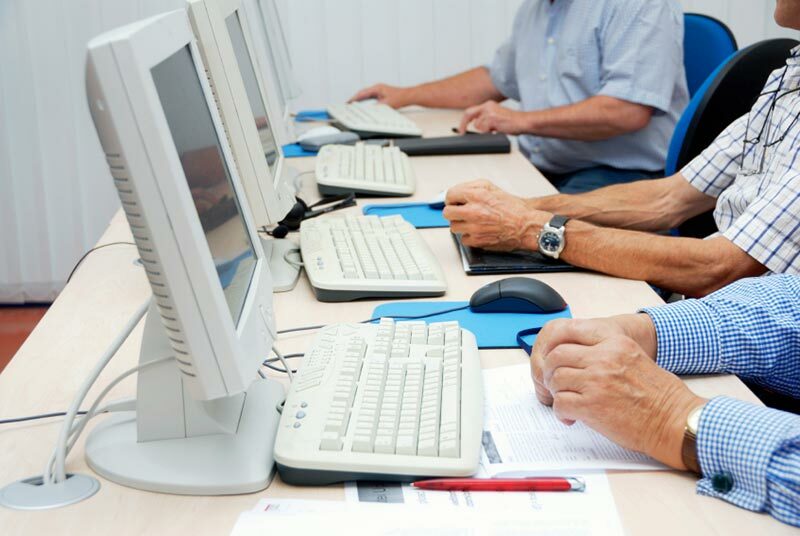 "During this time we have had training on GP Clinical Systems, Clinical Auditing and Microsoft Excel. "They have hosted this at their Headquarters in Derby, where the team are really welcoming and the atmosphere is nice and relaxed, they also provide a very nice lunch! "They have also been out to GP practices with us and integrated one of our current projects with their training on the GP clinical system; this made the training very relevant and easy to understand. "Training manuals, which they provide, were tailored to our specific requirements and have been subsequently used as a source of reference for new employees. "We also had access to telephone support after the training; this was a bit of a lifeline at times! "Kavita and her team are very professional, motivated and ahead of their game in what they do; we have worked alongside them in a number of projects and will continue to do so." "As part of our team development process, our medicines management pharmacists and technicians had identified a general need to further develop their IT skills in relation to the various GP computer systems with which they worked, to allow them to achieve a more efficient interrogation of data in their practices. "Oberoi Consulting was approached to put together a package based on the needs identified by our team. "The training session that followed was accurately tailored, well-constructed and presented, and also delivered with a degree of flexibility to respond to the needs of individuals. "The evaluation following the session concluded that it had been an extremely worthwhile training exercise, that the objectives had been clearly met, and our team were of the opinion that the knowledge gained was very applicable to their area of practice and would be of great value to them in the workplace."